From the moment we are born, our bodies begin to age, and we each age differently depending on our karma, life experiences, environment, and genetics. Kaiut Yoga acknowledges this and brings areas of rigidity to light so we can focus our attention on them to slow down the aging process and create more freedom in the body and mind. The goal is simple: to remain healthy and as pain-free as long as possible. This is Kaiut Yoga. Kaiut Yoga consists of subtle movements that work to ease the body’s aging process. It is an approach to yoga that specializes in treating injuries, chronic pain, stiffness and even hyper flexibility. The goal is simple: to remain healthy and as pain-free as long as possible. This is the central approach to Kaiut Yoga. It is a system and methodology that pays close attention to each individual body. It works for students of all ages, abilities and degrees of mobility. Kaiut Yoga is truly a yoga for every body. 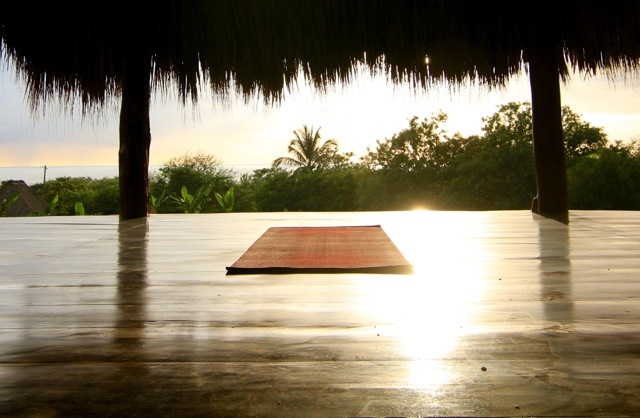 You will experience the deeply healing effects of Kaiut Yoga on your body and mind. There will be two classes per day—one in the morning and one in the evening. Each class is structured to accommodate all types of bodies at any age. While the twice daily classes are purely experiential in nature, there will be at least two workshops that provide opportunity to learn about the method and how it works to bring relief to our bodies. Quite simply, the goal of the retreat is to heal. And what is healing? Anything that helps us live more comfortable in our bodies and brings us closer to inner peace. You will return home with a renewed sense of youth along with insights to enhance your own personal practice. Jeff discovered yoga in 1986 in his hometown of Gunnison, CO. "I remember walking out of my first class feeling as if I had taken my first full breath! I fell in love with the physical and spiritual intelligence of this practice." 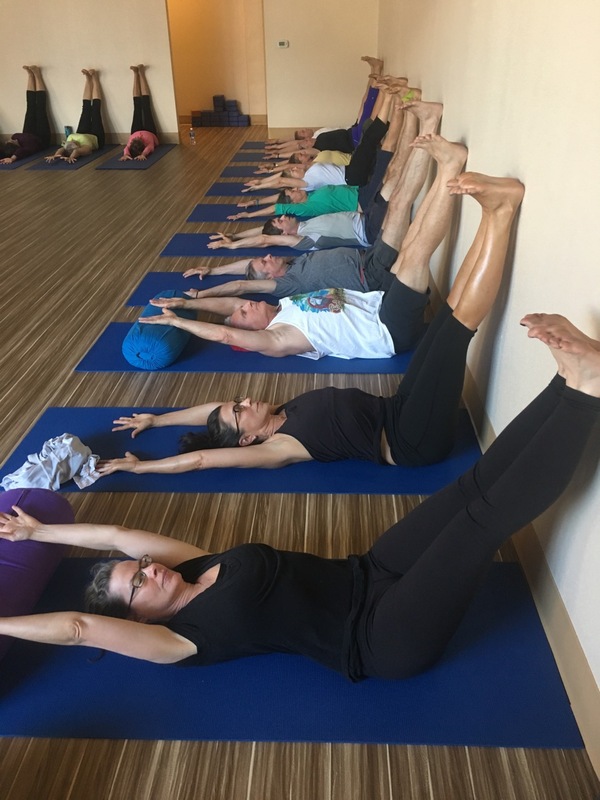 Jeff has a diverse background in the yoga traditions of Iyengar, Vinyasa and Yin all of which culminated into his primary practice and teaching of Kaiut Yoga. He has an appreciation for the reflective power of yoga as a healing meditation—an element that naturally finds its way into his classes. Jeff has found that with a curious, self-forgiving approach, yoga can heal almost anything. Jeff holds two 200-hour teacher certifications and a 300-hour certification. He also heads up Yoga Loft's Teacher Training. As a trained Rolfer, he weaves structurally integrative elements into his classes that have practical "off the mat" applications in life. While Jeff has studied with a variety of Yoga teachers over the years, his current teacher is Brazilian yoga pioneer, Francisco Kaiut. Along with his wife Lori, Jeff is the proud owner of Yoga Loft in Boulder, Colorado. Perched on a 30-meter cliff face, Magnific Rock offers guests an unparalleled experience, with a variety of accommodation options, beautiful restaurant and bar, yoga, surf activities and the best views of Popoyo's best surf breaks including Popoyo, Outer Reef, Popoyo River mouth and Santana's. Amenities include: Onsite bar with live music, Swimming pool, Aerial skills, Surf boards & paddle boards for rent, Laundry service, Outdoor shower. Life Force Project can help you with booking information for the best travel and flight itineraries, hotels, restaurants, and activities during your stay in Nicaragua. To get started, there are two possible routes to get here. Route 1: fly to Liberia, Costa Rica and then get a connecting flight from Liberia to Costa Esmeralda Airport in Nicaragua. This is a small airport only 20 minutes from Magnific Rock. Route 2: fly to Managua. From there, we will provide 2 or 3 shuttles to transport guests from the airport to Magnific Rock. The prices above also include shuttles from Magnific Rock to the airport on the departure date. For either route we suggest coming a day early so that you have time to acclimate and/or deal with any travel delays. Life Force Project can help you with planning and details for both routes and will provide suggested accommodations in Liberia and Managua. For all the details and individual questions please email us at info@lifeforceproject.com. We will be sure to respond within 48 hours and supply all the information and guidance you need to make your journey exactly what you’re dreaming up.